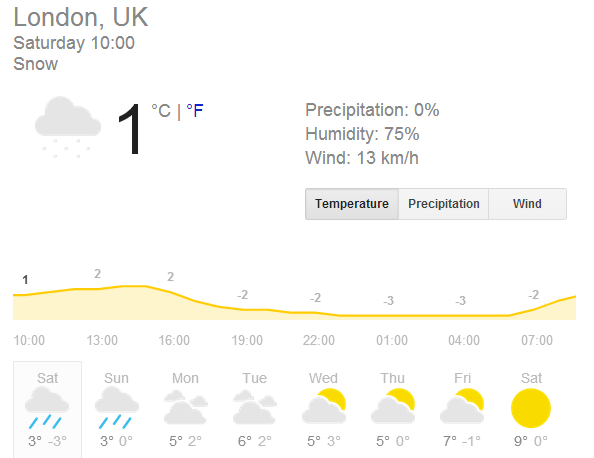 Last two entries have given the impression that the city is so very cold, that I am freezing here in London and that I am about to die of hypothermia (exaggeration). That’s obviously not the case. Last week was all normal. I mean I needed a jacket but going out was no problem at all. Plenty of sunshine and less wind. Evenings were friendlier to walk weather-wise; didn’t need to wear two caps (again that’s for me only, not for the brave bald heads that I mentioned in the first entry). So for me it was all ‘normal’ week- cold but bearable. But not for my friend from Bahrain- he was shivering most of the times when we went out together last week during lunch hours and was complaining how cold the city was. I had to tell him that this week was nothing compared to the previous one. So the cold, as I learnt, is dependent to your resistance capacity/ability. I think this capability is partly determined by how (conditions including weather) and where you were born and grew up. Kathmandu doesn’t get as hot as Bahrain gets in summer- and it also doesn’t get as cold as London gets in winter- which should explain why my British friend in Kathmandu was surprised to learn through my first post that I found London cold and that I was surprised to see my Bahraini friend complain about the London weather that I had found pleasant. Unfortunately, the gloomy weather (cloudy and freezing cold) is back. Today, as I am writing this, it’s snowing lightly outside. I am about 15 kilometers away from the city center. I tried to go out this morning for a walk. It was okay for the first 20 minutes, took some pictures of this residential area. A train line (they call it Overground as opposed to the Underground rail service, also called Tube) that connects this area with the central part of the city passes from about five hundred meters away from this home. We often tend to compare things (see the charts above!). But i’t’s not just us, the 3rd worlders! Last week I saw a headline in a newspaper here comparing and complaining about how Britain was unable to maintain some of its old airport buildings and how well the Americans were doing the same. We don’t have a railway system in Nepal so I was often tempted to compare the Overground and Underground systems with the Indian railway network and Delhi metro that I used during my two-year stay in Delhi. Some of the newly built metro systems in many cities are much better than the London Tube. However, considering that some parts of the existing Tube system here was built some 150 years ago, I find this particular form of public transportation system in London absolutely impressive. I will not go into the ridiculousness of such an expensive fare (but then it was no different in Bangkok and Dubai), only Delhi was a joyride. Overground, tracks are same everywhere I assume unless they are meant for super-fast trains like the Chinese are building these days. But coaches are better here (and for the price they charge, it’s understandable). More later….as I must go out now to see a friend at London Bridge.